Terry Records from Minnesota had her gastric sleeve done at one of the leading hospitals for bariatric surgery in Tijuana, Mexico. Terry was amazed by the fact that she was treated “like a person and not a number.” Further on, she was impressed by the effort made on part of the staff to communicate with her in English. 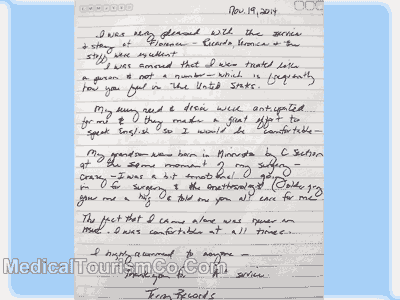 I was very pleased with the service and stay at Florence – Ricardo, Veronica and the staff were excellent. I was amazed that I was treated like a person and not a number – which is frequently how you feel in the United States. My every need and desire were anticipated for me and they made a great effort to speak English so I would be comfortable. My grandson was born in Minnesota by C-section at the same moment of my surgery – crazy, I was a bit emotional going in for surgery and the anesthesiologist (older guy) gave me a hug and told me you all care for me. The fact that I came alone was never an issue. I was comfortable at all times. Terry’s is not the only happy weight loss surgery story we have to share. 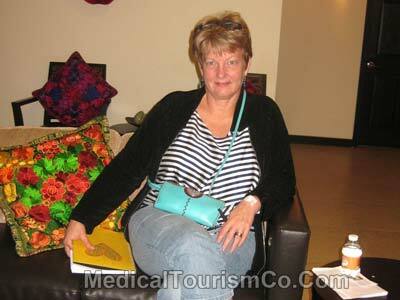 Watch another American client of ours review gastric sleeve in Tijuana in a video.